Just ahead of Tim Cook's speech at today's Cybersecurity Summit, The White House has announced federal-payment cards are gaining Apple Pay support, reports Bloomberg. People who receive veterans and Social Security benefits from the government via debit card will now be able to use those cards with Apple Pay. The deal includes the Direct Express payment network and government cards issued through GSA SmartPay, which handles more than 87.4 million transaction worth $26.4 billion each year, according to the General Services Administration. Apple Pay has been lauded by banks and other payment industry executives for its security, and its acceptance by the federal government is a valuable endorsement for the service. Apple Pay is seen as a highly secure solution due to its use of tokenization, which generates a unique code for each transaction to prevent actual credit card numbers from being shared. It also protects all consumer data like name and address, and it further ensures secure payments through fingerprint verification with Touch ID. Currently, Apple Pay is only available in the United States, but it is set to expand internationally in the coming months. 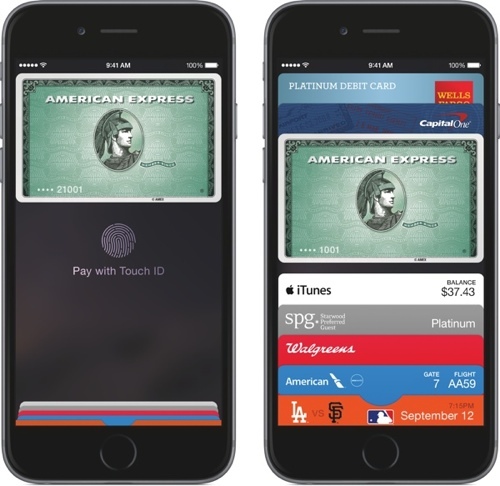 Apple Pay for China is expected in the near future, through a partnership with China's UnionPay. Update: As outlined by Apple CEO Tim Cook, government support for Apple Pay will also enable people to pay for things like access to national parks with Apple Pay, beginning in September. Welfare for those in poverty is disbursed by the states, not through federal payment cards. To date, not a single social welfare program to assist those in poverty are going through Apple Pay. Social Security, unlike what some politicians would like you to think, is paid for and earned by Americans who have worked and paid into the system over many years. It's an insurance plan, not a bleeding-heart handout. And if you feel Veterans Benefits are "welfare," then I submit you are a vile human being. Oh boy, people receiving welfare can now spend it with :apple:Pay. Didn't take long for someone to post the first uneducated, uninformed right wing comment without even reading the article. You people are the bane of this country. It's highly inappropriate for the federal government to be kicking back a vig to a private corporation for SS benefits. Also another step towards the government eliminating cash and tracking every transaction. They already issue cards where payment processors make transaction fee profits. This is just allowing it to work with :apple:Pay just like every other card that has done the same. This isn't the start to anything new aside from a little more convenience provided by :apple:Pay. Because those with "veterans and Social Security benefits" shouldn't have a little more convenience. Because having a device that supports :apple:Pay means our retirees and veterans somehow don't deserve what they have. Any possibility that the physical cards will have contactless/NFC support especially since they're all switching to chip? You realize it's likely the bank they contracted the card issuance out to that's doing this, right? MacRumors users never pass up the chance to not read. Well at least apple pay is getting noticed. I was not aware of this. I knew that states handled some welfare programs but I didn't realize the federal government was involved in none. Then you can call anything a Ponzi scheme because we are never technically getting back "our" money that we save. It's just someone else's that is now re-allocated to us. Does it benefit people that fed into the system and work as a system? Yes. Is it perfect? No. Indignant ignorance indication is irrefutable.